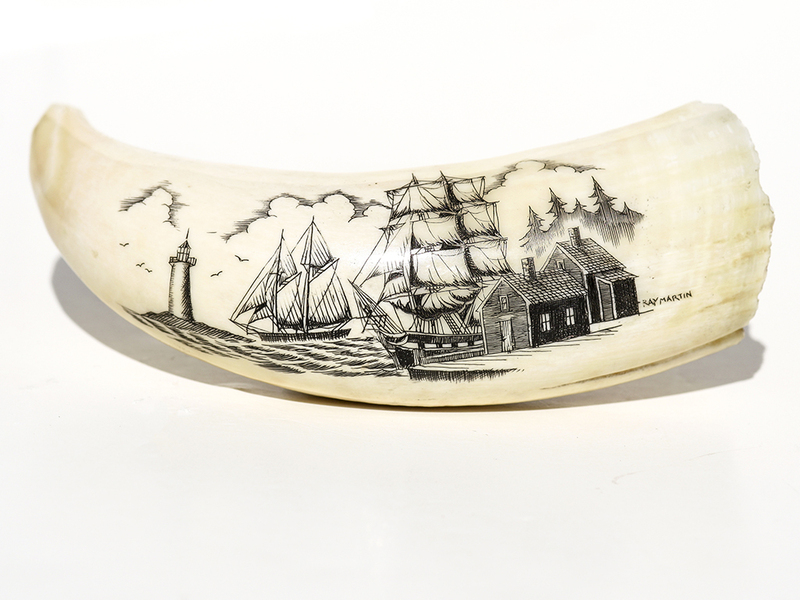 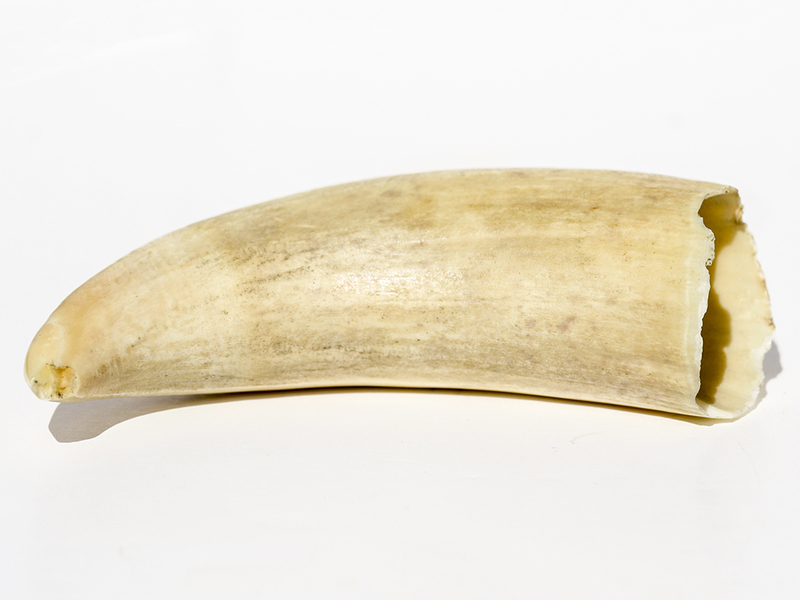 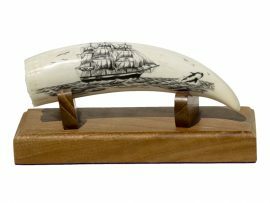 ‘Scrimshaw on Whale’s Tooth’ black and white scrimshaw on whale’s tooth by Ray Martin. 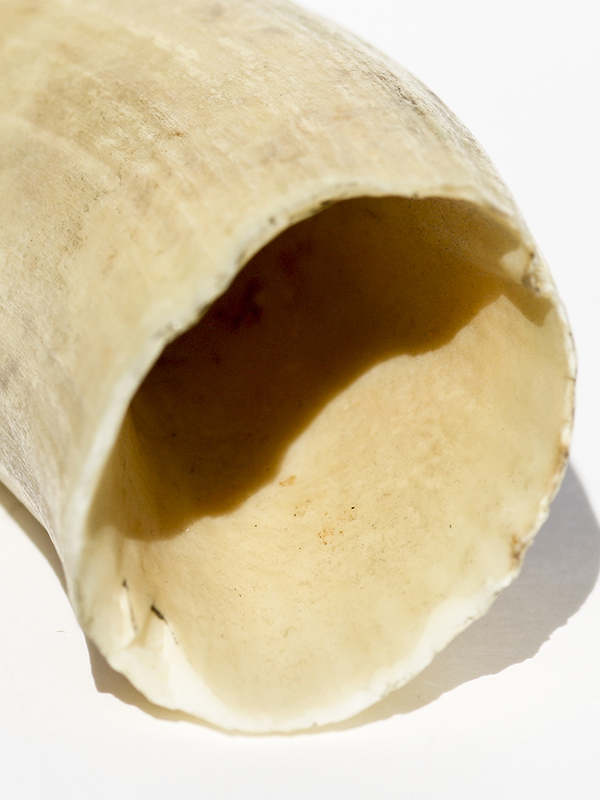 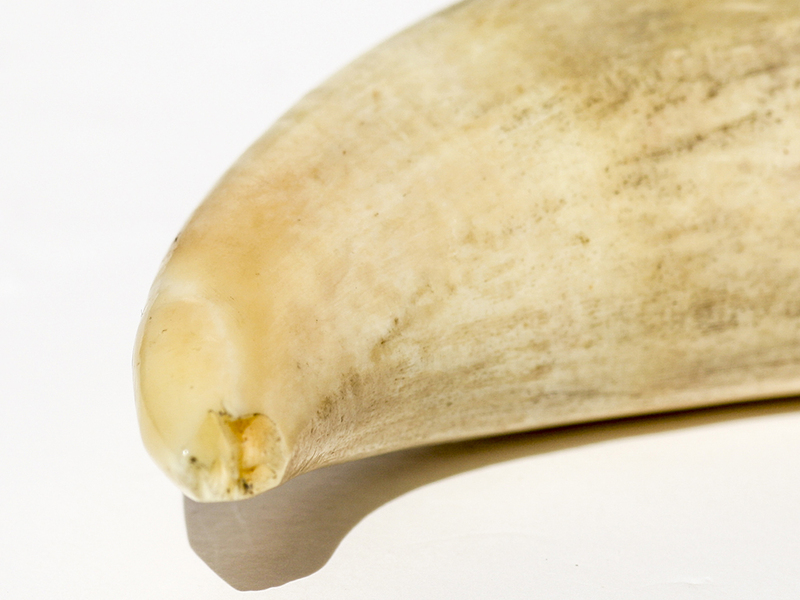 Tight, clean work by Martin on this handsome whale’s tooth. 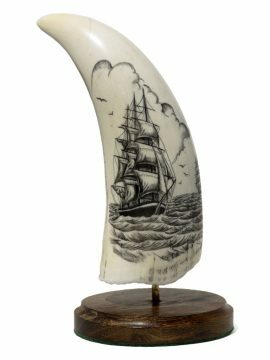 Not familiar with the scrimshander as this is from the collection of one of our long time clients who is no longer with us. Nice price on this one.